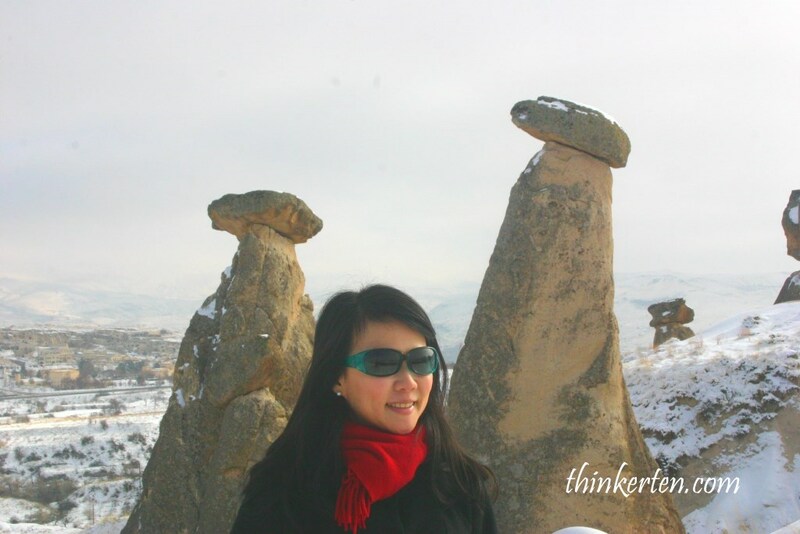 Cappadocia is the highlight of Turkey I would say. We woke up at 5 am in the morning and booked for a hot air balloon ride at 7 am. I had no clue what it would look like at the top. 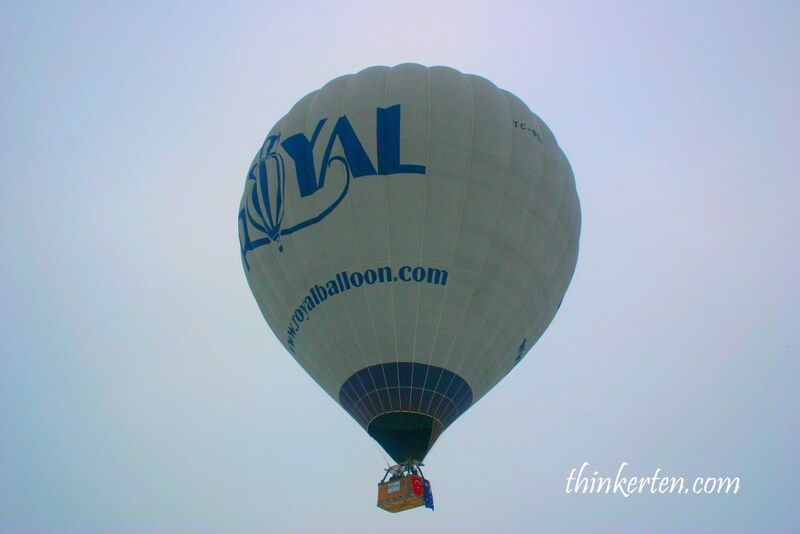 It was my first experience on the hot air balloon, both excited and quite worried as well. Getting in the basket was already quite scary, we have to listen carefully to the instruction before launching and landing. Where to hold and squatting down low inside the basket. There are two hot air balloon crews flying together with us through the 1 hour ride. They are in charge of adding heat with the burner. There are in total about 20 passengers squeezing inside the basket and fly up together. To make the hot air balloon fly up was not an easy task, there are additional 5-8 crews helping on the ground for launching and landing of the hot air balloon, to make sure the basket landing at the proper location and smoothly. Once we are up on the sky, we are allowed to slowly stand up and look at the scenery from the top. 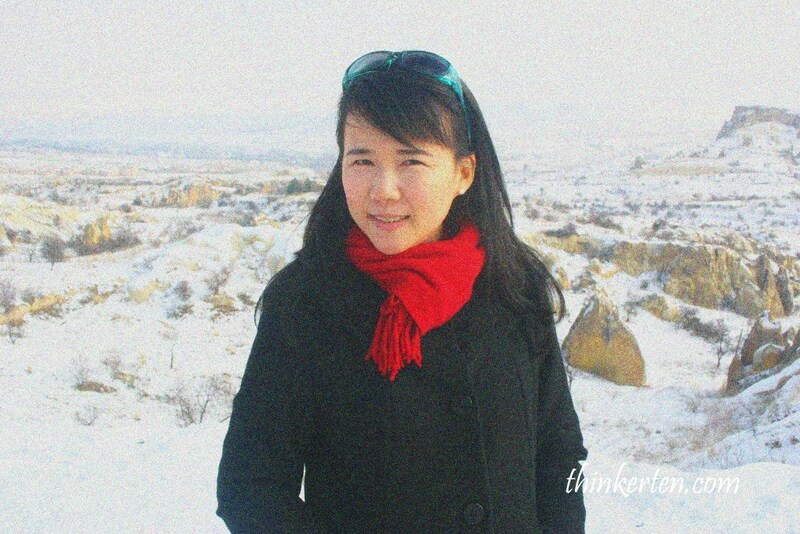 It was winter so the whole place was covered with snow which make it so beautiful. 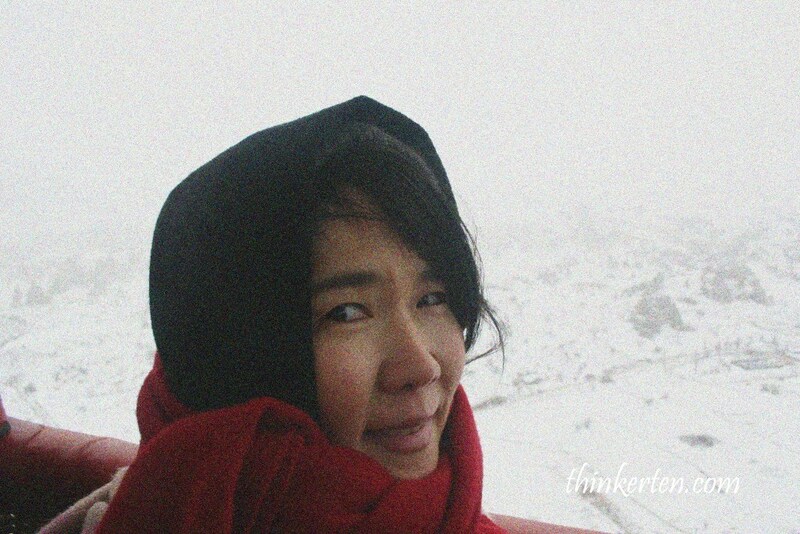 However, it was very cold and windy -15 C on top of the sky. I recon the view would be nicer in winter as you could see a mixture of brown and white on the landscape. Landing was the most frightening part. 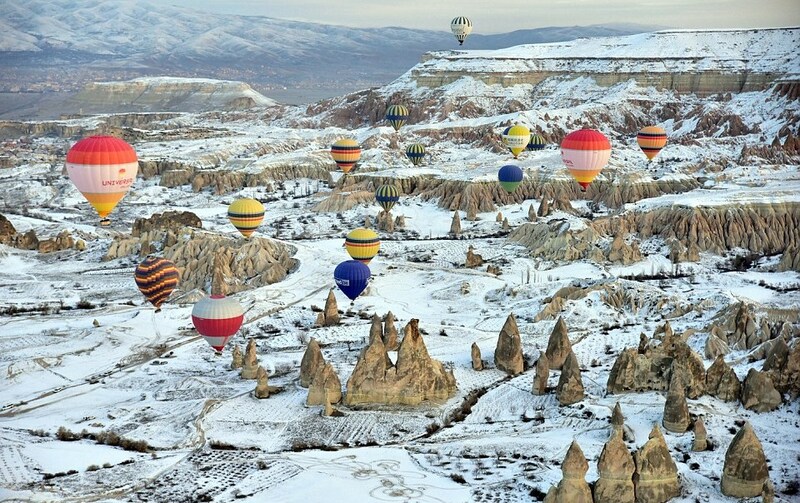 Cappadocia is one of the best hot air ballooning destinations in the world. You can see the most unique landscape in the world. For once you would think is this really earth? It looks very much like housing for the Alien. 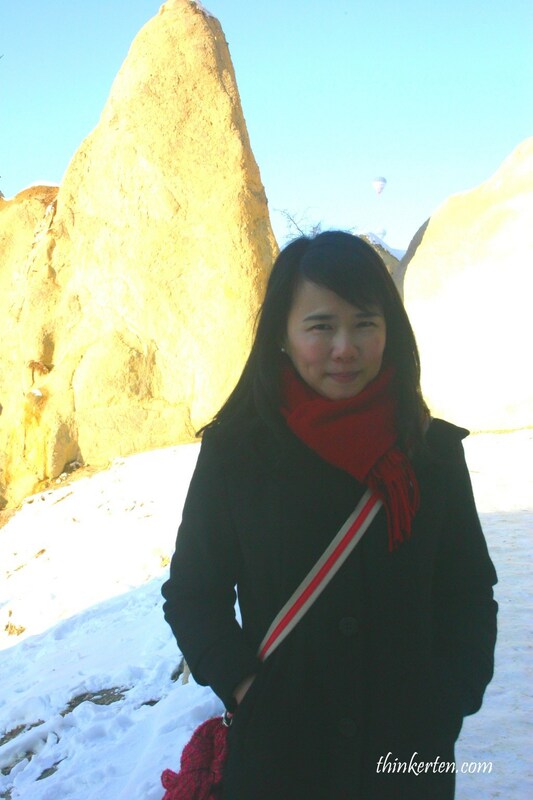 The price to do hot air balloon is no cheap but is worth to do it in Cappadocia and I am sure you won’t regret it. Oh yea, there is a tradition of giving a champagne to celebrate after landing and a certificate with your name on it for memory. It was a magical experience and one of the best highlight in Turkey. One would wonder why the stone here look so much like mushrooms? 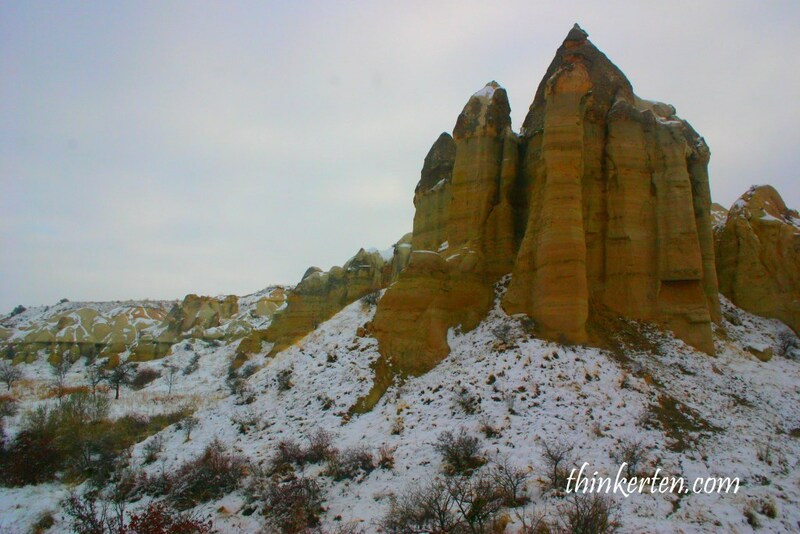 And the given nickname of these formation is “fairy Chimney”. 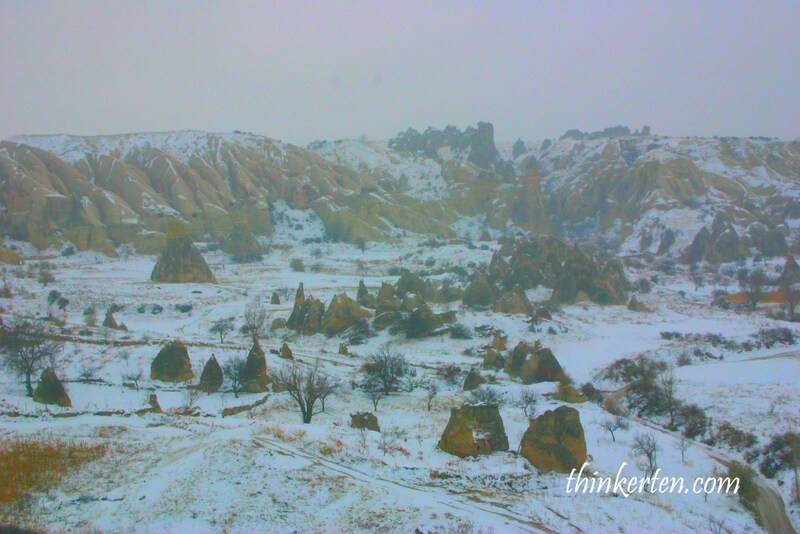 The chimneys are a result of a geologic process that began millions of years ago, when volcanic eruptions rained ash across what would eventually become Turkey. 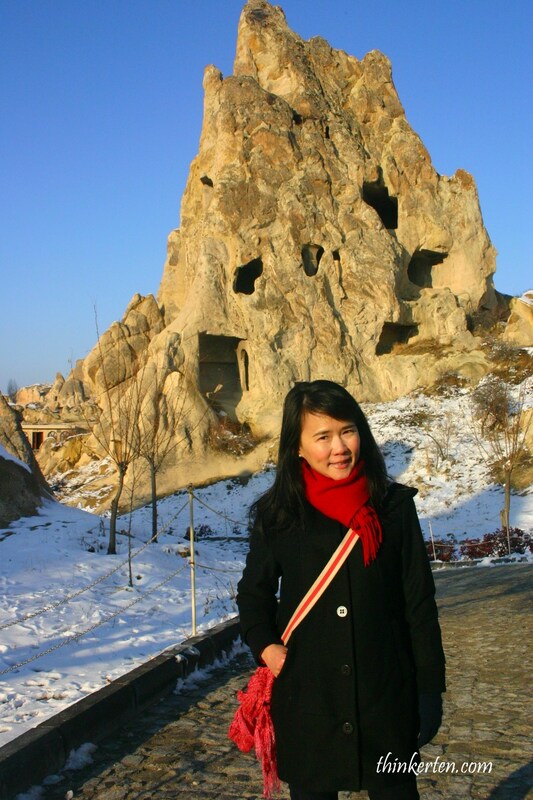 The whole place is full of unusual stone caves which seems like it comes from another planet, really picturesque maze of exceptional rock formation. 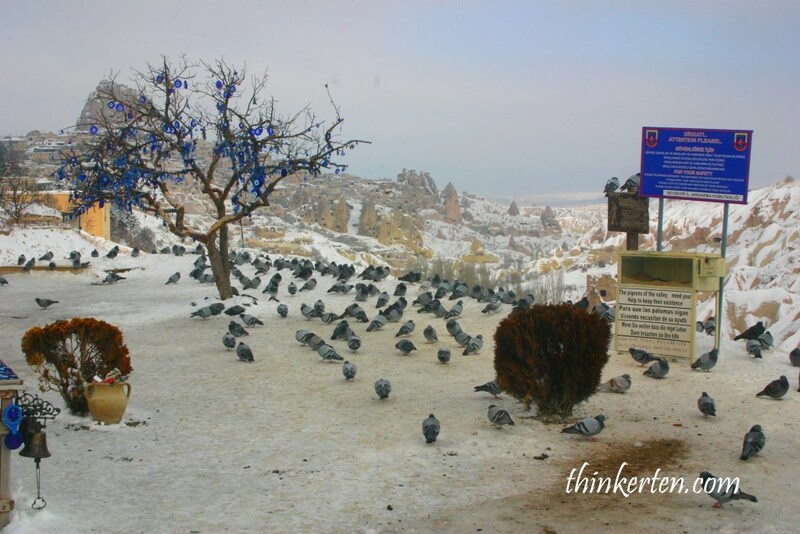 It is also said that farmers used to collect the pigeon dropping from the cave and used as fertilizer. 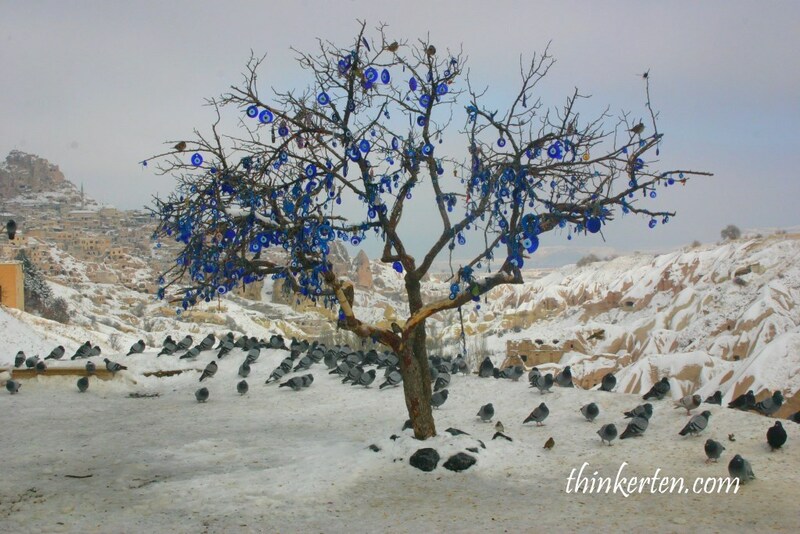 Evil eyes hanging on the trees – Evil eyes are said to protect from the bad and bring in good luck in Turkey. Good to bring home for souvenirs. Stopped by this jewelry shop but didn’t get anything as the price are just too expensive. Outside the shop, there is this mini mushroom fairly chimney landscape which is quite cute. 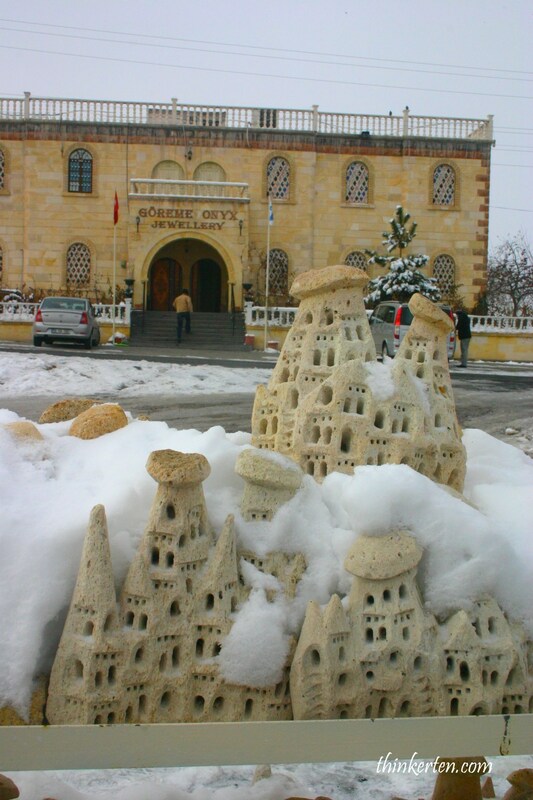 Uchisar is situated at the highest point in Cappadocia, on the Nevsehir-Goreme road, just 5 km from Goreme. I did not go up the castle but only looking from afar. If you are interested in hiking, you can organize a hiking tour to walk up this maze looking castle. It should be very interesting and the view should be great from the top of the castle. 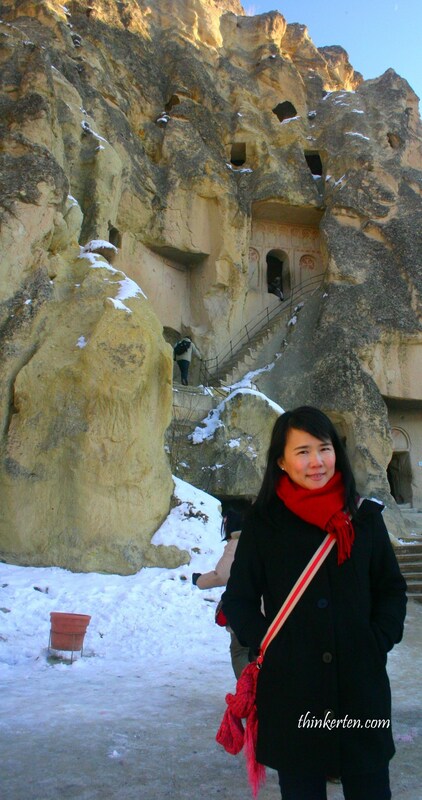 This is truly an impressive Open Air Museum in Cappadocia. 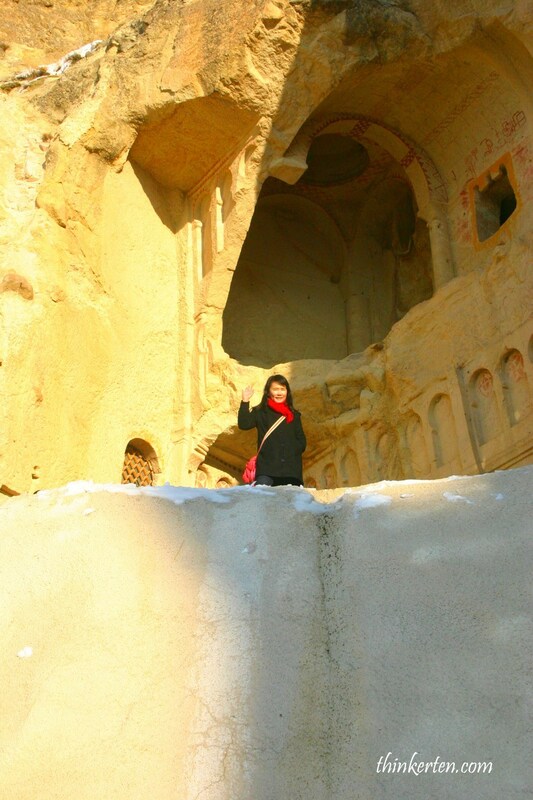 Goreme Open Air museum contains some of the earliest churches in history, this place was one of the first to embrace Christianity. 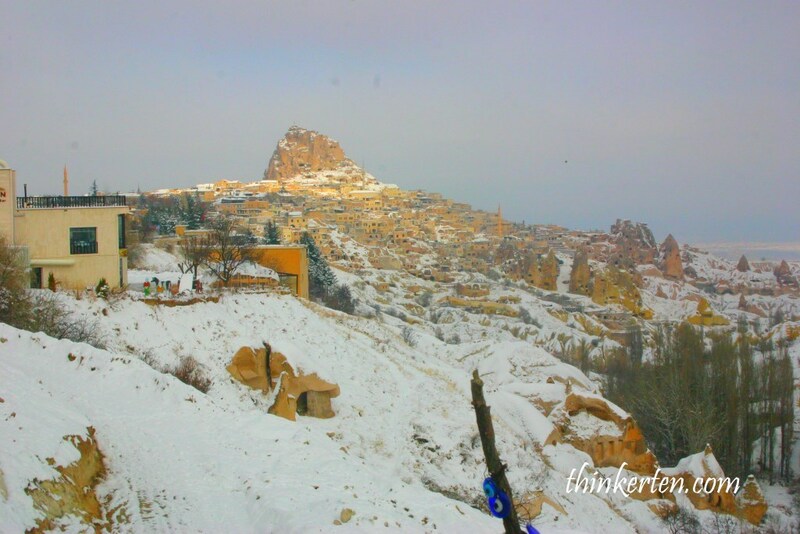 There are many churches and Some of the churches inside the cave dated 3rd & 4th century BC. There are some stairs for you to climb up to visit the churches. If the place is crowded, you may have to wait patiently for your turn to climb up. Finally my turn to climb up to check out the churches. I simply love this place and don’t mind of coming back again to explore, may be spend few more days on hiking trails and explore slowly. 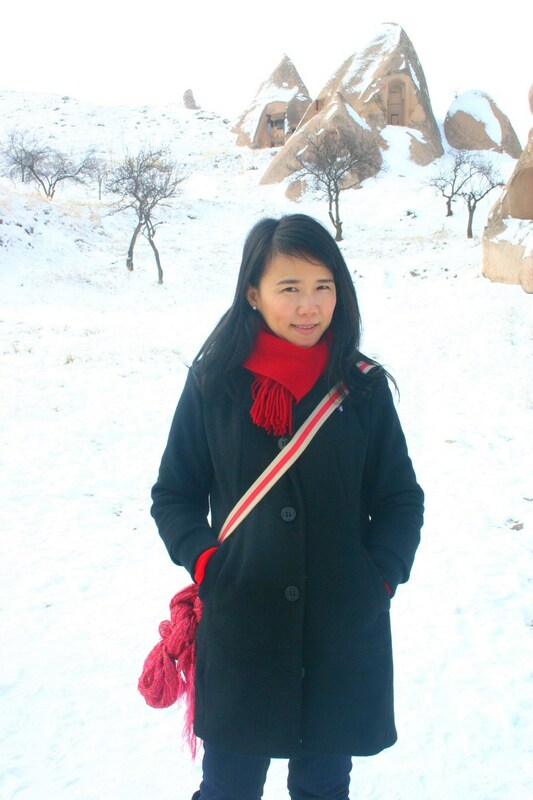 Winter is beautiful in Cappadocia but very cold, -5 to 5 C! 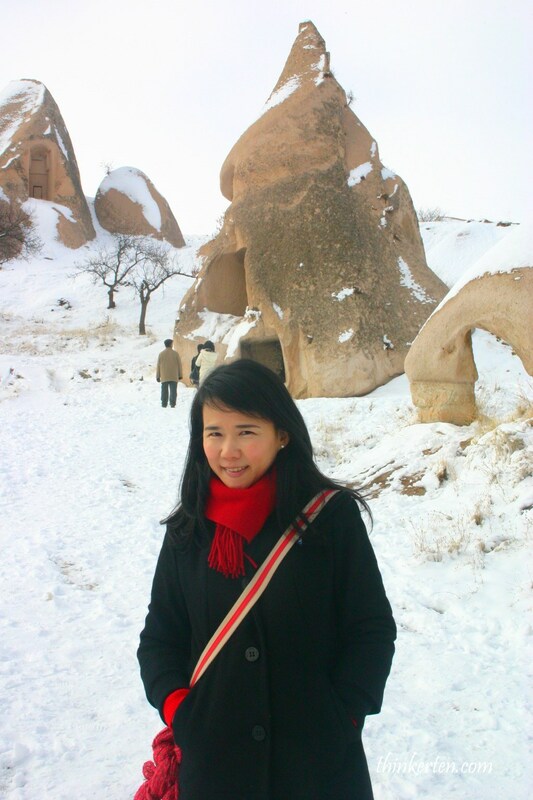 Which is the best season to see Cappadocia, I still think is in winter.